Paul Blank has many years of experience as a Valuer for collectable cars and related automobilia. Since 1999 he has been an Approved Valuer by the Federal Government's Department of Communication and the Arts scheme known as the Cultural Gifts Program. This program allows institutions to expand their collections without the capital expenditure usually required. Owners of objects can donate items to an approved institution and benefit from generous tax incentives the Program provides. Several car museums around Australia are participants in this scheme and have benefitted from some magnificent donations. The cost of the Valuation is also tax deductible. Paul is one of just four Valuers in Australia approved for motor vehicles. The Australian War Memorial (ACT) and various law firms and insurance companies. Paul also provides Valuations for other requirements such as legal cases through law firms and for insurance purposes, plus for private collection valuations. 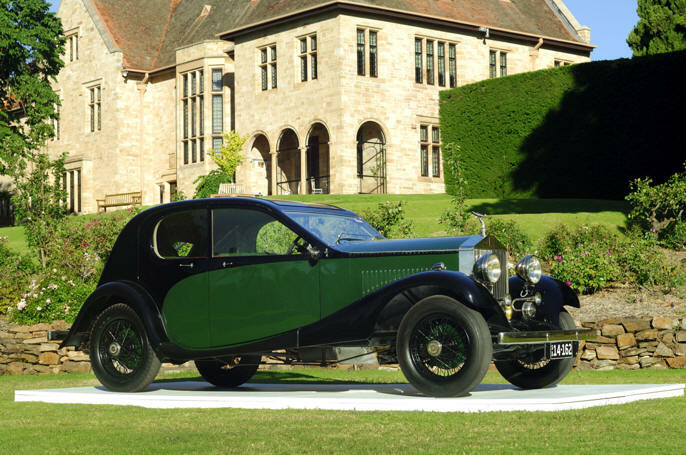 Below: This unique French-bodied Rolls-Royce was donated to the National Motor Museum under the Cultural Gifts Program, with Paul's valuation.